Little did I know when I innocently asked a good friend of mine about crochet bird patterns that they would be quite so difficult to find. I figured that if anyone had one it would be Lisa at Free Crochet Patterns And Designs By Lisa Auch. She is so very clever in designing patterns for us who love to crochet that she spent several days creating one because she also saw that there was very few patterns out there for our beloved winged friends. She graciously allowed me to share her design and free pattern for you and I to use for our next bird crafting adventure. The image below is the pattern that Lisa designed and I just love it! What I love about Lisa’s design is that depending on which weight of yarn we use and the color or colors of yard we choose, we can make it be just about any kind of bird that we want. We can go with one solid color like in her example or we can get really creative and use a variety of coloring in the yarns. I think this little guy would look adorable in red yarn to represent a cardinal. Don’t you just love the design she used for the wings? I think when you click over to her crochet bird patterns page, you will be pleasantly surprised at how detailed her directions are. There photos showing the construction of the head, body and wings along with a supply list for the project. I would think with the popularity of birding across the globe that more people would have designed some lovely crochet bird patterns for us to get busy with. Just as our little winged friends are crafty at finding food sources, us humans sometimes like to get crafty and try to replicate them in projects to display around the house. I’m just a little surprised that there are so few for us to make when it comes to crochet. I know I’ve seen some lovely graphs to do in counted cross-stitch of birds but not a lot of crochet bird patterns. What I love about Lisa’s adorable little bird is that after we get it made it can look adorable on a shelf, among the potted plants indoors or any place we decide to let it perch. Here is a variation of Lisa’s pattern in blue and white that is really cute! I love the birdhouse that she created, too. All images of the crocheted bird are from Lisa and she has graciously allowed me to use them on this blog post. Well, if you have read any of the other posts in this blog, I am pretty sure that you have picked up on the fact that I am a bird enthusiast with a capital E. I love to see my winged friends in their own habitats but I also love art with birds. The kids gave me a book for Christmas that actually fills two passions: my love of birds and my love of the artist Charley Harper. Oh my goodness I love this book! Charley Harper’s Birds and Words is one of my very favorite gifts of all time. 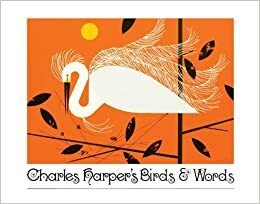 Not only is it filled with the artwork of Charles Harper but it also has his own words describing the birds in the images. 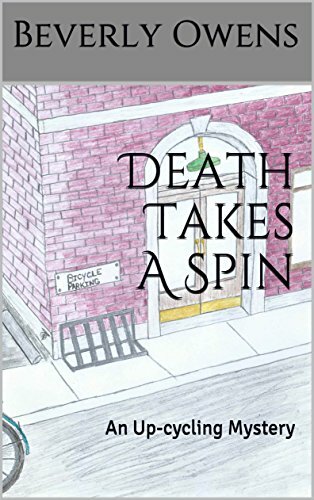 Turns out that Mr. Harper had a very unique style to his art and that is what fans like myself love but he was pretty darned witty with his writing skills, too. Fans of the 1950s deco style of decorating are very familiar with Charley Harper and his unique way of portraying mostly wildlife. I like the other animals that he drew but I particularly like his renditions of birds. I loved them even before I got all caught up in watching the birds in my backyard. So, the kids hit the target right in the center of the bulls eye when they found this book to give to me as a gift! Harper did much of his work in his home studio in Cincinnati, Ohio. He relates in the book that he tried to actually get out among the feathered creatures to get a better idea of how to paint them but he found that instead he was tripping over rocks and other ground debris which then caused the birds to fly away. So, he invested in a few field guides to get his inspiration for his bird paintings. Ford Motor Company commissioned his work to include in a publication of theirs called Ford Times during the 1950s. Readers could order his wildlife paintings that were printed in a silk screen process. The American public quickly fell in love with the artist’s work and a partnership remained between the car company and Harper for something like 30 years. I could never get close enough to count the feathers so I counted the wings instead. The book shows many of the images that he created for Ford Times that pertained to birds along with some others that he did in his 60 year career. I love all of them for the original interpretation and the witty way that he describes the bird in each image. 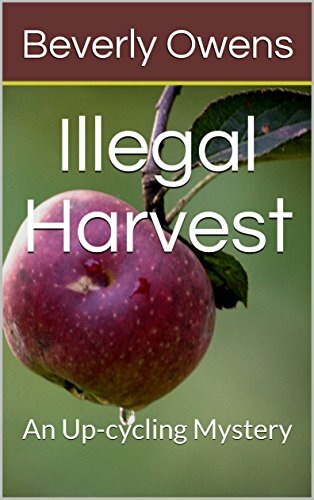 He included a section on birds that vanished from the American landscape and comments on the human cause of the extinction of those feathered creatures. If you have a person in your family or a friend who loves birds, then I can highly recommend this book with Charley Harper illustrations and his descriptions of each as something to give to them as a gift. I am sure they will love it as much as I do mine. Thank you so much Terry and Carla! You always get the coolest gifts for me and I hope you know how very much I appreciate the thought you give to each one. Have you been looking for a gift for a bird lover and feel a little stumped? There is no need to get your feathers all ruffled, it can be pretty simple to please us birding folks. One thing that I love to do is work jigsaw puzzles, especially when the weather won’t let me be outside. There are some really lovely bird puzzles available and they make a nice inexpensive gift. They can be given for just about any occasion, too. I particularly love the jigsaw puzzle shown above! I think one of the things that draws me to it is that everyone of those lovely little winged friends visits my own backyard. Along with a striking image of a blue jay I see a chickadee, a nuthatch and what is probably supposed to be a ladderback woodpecker. I haven’t worked this particular puzzle but I have worked some of the Cobble Hill jigsaw puzzles in the past and I really like the quality of the board that the pieces are cut from. You can bet your beak I will add this to my gift wish list for my family to consider when they are looking for something for my birthday, Mother’s Day or Christmas. This one looks pretty enough to frame after it is put together and I know just the place that I could hang it, too. You see, that is the thing when it comes to gifts for us bird lovers, simple little things just delight the dickens out of us. It does not have to be something expensive but something that has to do with our little winged friends that brings us so much joy. One thing to consider when looking at bird puzzles is the number of pieces that it has. I like the challenge of the 1,000 piece ones but there are also ones that have 500 pieces and some with only 300. Think about the person who will be putting it together and if they will have the room to work the puzzle somewhere in their “nest”. Of course, the art is often what sells us when it comes to choosing a puzzle, too. I have several types of feeders for my backyard birds and to be honest the sweet little finches do seem to not be very picky about which one they feed at but I have found a bird feeder that works better than any of the others in my yard. I guess what I am trying to say is that I had finches visit my feeders before but since getting this special feeder I have many more at a time. 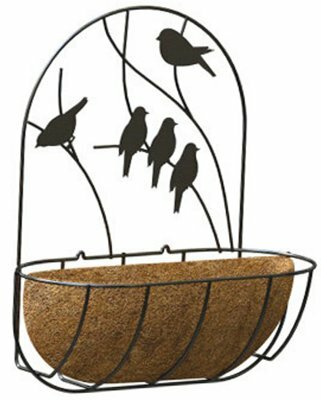 I know this is kind of a funky looking bird feeder and I actually almost didn’t buy it when I found it at the store. I put my hang-up about the visual appeal to the side and decided to take a chance on it and I am so glad that I did! As I stood there looking at the box and the strange look of the feeder, I realized that it really didn’t matter what the danged thing looked like if it attracted those pretty little birds to my yard. One thing that I really like about it is that it will hold just about 7 pounds of nyjer seeds in those mesh socks. That is a lot of seeds! I don’t have to re-fill it as often as I have the other feeders that I used to put those little thistle seeds in. That is a benefit, for sure. 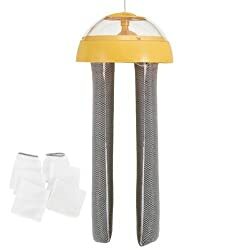 The box has the feeder and 4 of those mesh tube style socks. That is 2 to put on the feeder to use and 2 spares just in case something should happen to the ones you are using. I figure, if I needed to, I could always put the clean unused ones on so that I could wash the used ones if they seemed like they were particularly soiled. Although, after using it for an entire summer last year, I didn’t see the need to launder the socks. OK, now for the success of this feeder for finches. I had a nice variety of finches visiting the yard. The cute little house finches and my most favorite the American Goldfinches were regulars already. After having hung the Kaytee Finch station in the yard, I had even more goldfinches! After a couple of days of it hanging in the yard, I was standing at my kitchen sink doing some dishes while I watched the activity at the feeders. I was thrilled to see about 10 goldfinches hanging in various stances on those mesh socks. They were so beautiful and so colorful that it took my breath away. After that, it was unusual not to see that finch feeder not filled with goldfinches when it was feeding time. Even though it isn’t the prettiest feeder in my bird garden, it becomes beautiful when filled with so many finches at one time. I will never regret taking the chance and buying this feeder for finches. It has brought me much enjoyment since I placed it in my yard. I think it would be the perfect gift for the bird lover on your gift list. As a bird lover, I am always noticing items that I can have around the house and garden area that show my love for my winged friends. Sometimes I just go ahead and buy an item for myself and then other times, I make note of things as a gift idea to share with my family. Since, I love to have plants both indoors and out a planter with a bird theme is a perfect gift idea for me and it may be for that bird lover on your gift list, too. Isn’t the one shown above adorable? It will hold a 3 inch pot with whatever planting you want to add. The planter is made of porcelain so I would make sure that it is in an area where it won’t be too exposed to the elements. 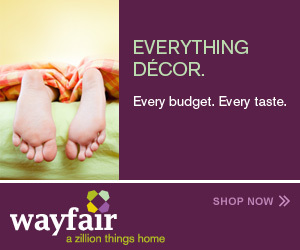 It would be very cute indoors, too. 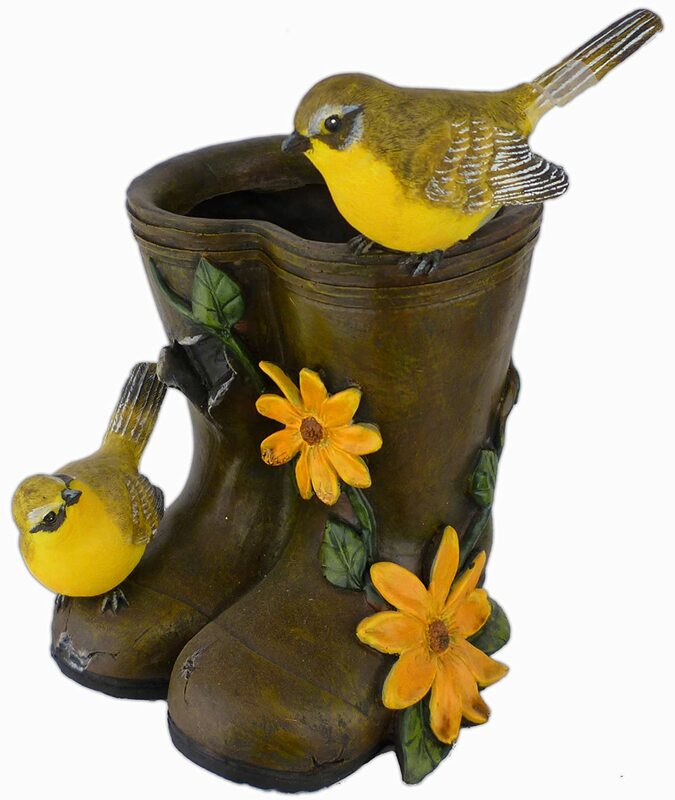 One thing to keep in mind when selecting a planter for the bird lover is where will they most likely use it. Will they want to have it outdoors in the garden? Would they prefer one that can be used indoors? I recommend that you look the planter over and see if has a recommendation for usage. Some will say indoor/outdoor while others will be very specific about it only being used indoors. The reason for that is the material it is made of. I love this wall plant with different birds in silhouette! This would work indoors or out but I love it for the outdoors, myself. Hang it on a garden wall or gate and fill with a variety of cheerful plants. There are so many mediums used for planters. Some are ceramic or porcelain which typically need to be indoors or in a protected area outside. Resin planters work well anywhere. Metal planters can be found in abundance but not all are meant to be used outdoors. If the planters are painted they should be fine but if they have no protective coat on them, they should be in an area that is covered. Why? Well, they can rust when exposed to rain. I personally like that rusty look but I wouldn’t want a rust stain to cover the wall or gate that I have it hanging on. 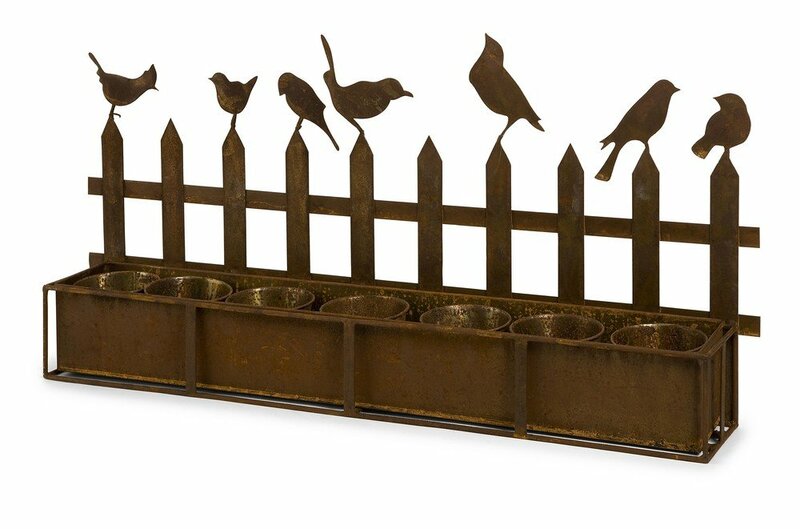 I love the versatility of this planter made from iron! It will hold up to 7 four inch pots and can be used indoors or outdoors if it is kept in a covered area. It can also sit beautifully on a table, porch, or deck. Personally, I would like it hanging on a wall of the porch that gets enough sunlight to encourage plants to grow. Another idea for this type of planter is to coat it with a clear coat of urethane before putting it outside. It won’t rust any further if it has been coated. One of my favorite gifts last year from my dear hubby at Christmas was this cute little coffee mug! I love my coffee in the morning and will often sit in the sun room where I can also watch the birds at the backyard feeders. One of the reasons that my husband got this mug was that not only do I love feeding and watching my winged little friends but I also have an ongoing war with Squiggley the resident squirrel and his little band of seed stealing thieves. Actually to be honest, I don’t know of any of us birders who don’t have a problem with the little varmints robbing the feeders of the seeds and goodies that are meant for the birds. Do you? Anyway, this coffee mug was a perfect gift for me with the rascal of a squirrel hiding in a bird costume suggesting that it is time to feed the birds. Notice my kitchen towel also has a bird on it. But that is for a different post when I talk about other bird lover gifts that you can get for a family member or friend who shares my (and maybe your) love of the feathered little creatures who visit our yards throughout the year. This coffee mug will hold a little more than 8 oz of coffee with some room to add some cream and sugar without overflowing so it is a nice size for me to use. It is also made in the good old USA which is another thing that I like about it. It does not say whether it is safe to use in the dishwasher or not. I have a tendency to hand wash mine because I don’t want it to get scratched or etched with the crumby water that is in our area. I honestly can’t tell you whether this little Feed The Birds Mug can be purchased in local shops or not. My husband ordered it from Amazon which is where the link goes to. The mug there is not exactly like mine because the side of mine looks like the image at the right. I do believe that it is from the same company and maybe they have a couple of different options. Personally, I don’t think what is on the side matters much, it is the funny image of the squirrel hiding behind the beak and feathers that cracks me up. As I mentioned before, this was one of my favorite gifts last year. Not because it was expensive (cause it wasn’t); just because it was such a cute idea and showed that my sweet husband gave some thought into the items he chose to give me. One of my daughters was a little puzzled when I opened the gift and was so delighted with it. My grand-daughter laughed and explained that Grandma spends a lot of time shaking her fist and yelling at the squirrels to keep them away from her bird feeders. The then 9 year old totally got the humor in it, I’m not so sure the 30 something adult did but that is OK. She really isn’t in to feeding birds or being harassed by squirrels; she is busy being a Mom and that is OK with me, too. I do wonder if some of the memories that my grandchildren will carry with them as they grow are ones of me feeding the birds in the backyard. I do let them help me when they are here and I also tell them what kind of birds we are seeing as they land to dine on the morsels we just put out. I’m sure they will also remember how Grandma didn’t much care for the squirrels or the chipmunks who stole the seeds from the feeders.